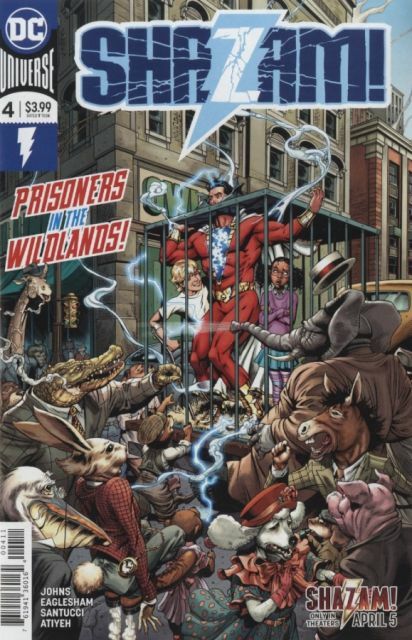 'Shazam and the Seven Magiclands'continues as Billy Batson and the other foster kids are lost in the dangerous Wildlands! A realm where animals walk like humans...and where humans live in zoos! When Freddie and Darla are captured and paraded around like oddities, it's up to Billy and the others to rescue them from the greedy Crocodile Men! Plus, the shocking ending to issue #1 could up end Billy's new family...or make it stronger than ever.